Acorn Computers Limited was set up in 1978 and, like Sinclair Research Limited, was set up by a former Sinclair employee, Chris Curry (together with Hermann Hauser) and was based in Cambridge, which led to a great deal of rivalry between the two companies. Acorn were probably best known for designing the BBC-Micro computer and beating Sinclair to win the competition to launch a computer, which, promoted by the BBC, was rolled out across schools as part of a massive Government program to encourage the use of computers as an educational tool. 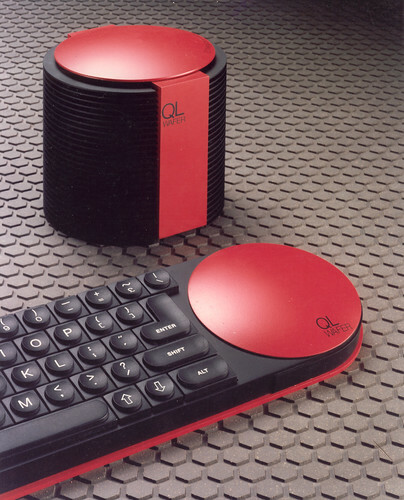 Acorn also designed various other computers, including the Atom, the Electron and the Archimedes. The legacy of Acorn lives on through its development of RISC based computers and the continuation of ARM Holdings (one of its former subsidiaries) as an influential computer chip manufacturer. 2 days, 11h:59m:07s £38.00 Buy now! Crack-Up / Crack Up 5 days, 00h:23m:04s £3.95 Buy now! Kane for BBC / Electron 5 days, 00h:23m:04s £2.75 Buy now! Plan B 5 days, 00h:23m:04s £3.95 Buy now! Jet Set Willy 5 days, 00h:23m:04s £9.95 Buy now! Jack Attac / Attack 5 days, 00h:23m:04s £3.95 Buy now! Hobgoblin 5 days, 00h:23m:04s £2.65 Buy now! Millionaire 5 days, 00h:23m:04s £2.75 Buy now! 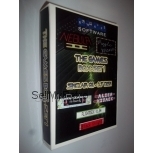 Diamond Mine 5 days, 00h:23m:04s £3.25 Buy now! Fruity Freddy 5 days, 00h:27m:09s £9.95 Buy now! Gremlins - The Adventure 5 days, 00h:59m:23s £12.95 Buy now! Kissin' Kousins / Cousins 5 days, 00h:59m:23s £9.95 Buy now! 10 Computer Hits (Compilation) 5 days, 08h:58m:17s £5.95 Buy now! Merry Xmas Santa 5 days, 11h:31m:20s £8.95 Buy now! Future Shock 5 days, 11h:32m:22s £9.95 Buy now! Match Day 5 days, 11h:32m:22s £2.95 Buy now! Yie Ar Kung-Fu / Kung Fu 5 days, 11h:32m:22s £6.95 Buy now! Kissin' Kousins / Cousins 5 days, 11h:32m:22s £9.95 Buy now! Bullseye 5 days, 11h:35m:26s £3.55 Buy now! 737 Flight Simulator 5 days, 11h:50m:56s £4.75 Buy now! Klax for BBC 5 days, 11h:52m:56s £19.95 Buy now!